Trying to work out what is the best central heating system for you can be a bit of a minefield, especially if you have no experience in plumbing and heating. 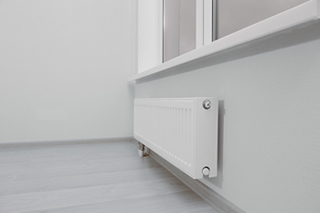 There are several different types of central heating systems, all of which have their own pros and cons and are dependent on your house size, family size and circumstances. SEP will design and install complete new central heating systems and upgrades for any size property. 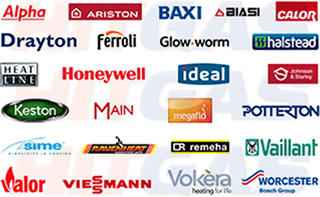 Not only will we design the best heating system for you, but we will also ensure that you get the most suitable products to match your taste, all installed at a time that suits you, and at a very competitive price. By recovering and using heat that would otherwise be lost, high-efficiency or condensing boilers use less gas to produce the same amount of heat as standard boilers. With different outputs available to suit a variety of buildings, SEP offer a full range of state-of-the-art high-efficiency boilers from leading manufacturers. Installing a cheap boiler can be a false economy, reliability and efficiency over the years will save you money. 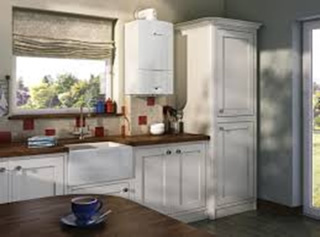 Worcester Bosch boilers are by no means the cheapest boiler on the market, however we believe they give very good value for money in the long term. A boiler installation is not a job you should need doing often so we believe it is better to pay a little extra and install a boiler with an excellent reliability and efficiency record. In order to be a Worcester Bosch Accredited installer we have successfully demonstrated to the Bosch Group that our installations of Worcester products are to the highest standards. Due to the confidence Worcester have in our installations, we are authorized to offer extended guearantees backed by Worcester Bosch. When heating water directly from a mains supply, one of the highest performing systems is an unvented mains pressure system, these systems require the use of unvented hot water cylinders.Unvented hot water cylinders are a means of storing and then distributing hot water in the home; they are very efficient and offer many advantages. 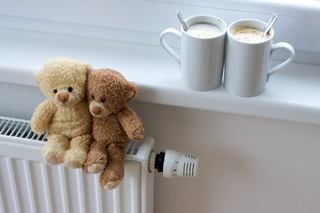 Unvented hot water cylinders are so-called because they are not open to the air in any way which means that they heat the water stored in them quicker than vented cylinders which are open to the atmosphere. Because this kind of system is supplied directly from the mains and not from a cold water storage tank, the pressure contained in the system is much greater than in vented systems as no pressure can escape – this gives you much greater water pressure from your taps and shower heads. • There is no requirement for a cold water storage tank so you have more loft space. • Unvented cylinders supply high water pressure for showers so booster pumps are not required. • They give you balanced pressure between hot and cold taps and also stable pressure for showers meaning that temperature can be controlled better. 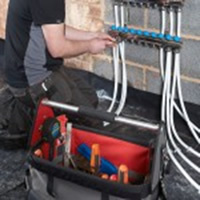 • The installation of an unvented system is also quicker than the fitting of a vented system. 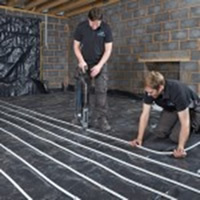 Here at SEP we believe that there are a number of key benefits to installing underfloor heating. Underfloor heating is invisible and maintenance free, with no space-consuming radiators. It requires only low temperature hot water and is ideal for use with modern condensing boilers. 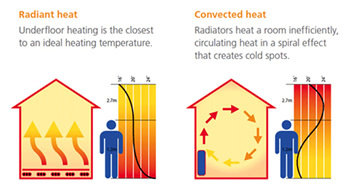 Therefore this form of heating requires less energy to heat a space than traditional radiators, reducing energy costs on average between 15% and 40%. Underfloor heating uses a radiant heat design to gently heat the room from the bottom up. Underfloor heating spreads the heat over the entire floor area, resulting in about half the heat being emitted as low temperature radiant heat. This gentle source of warmth reduces the heat loss from our bodies without overheating the surrounding air. With Underfloor Heating, comfort levels are high and running costs are low. Styles of radiators and towel rails have changed dramatically over the last few years, customers no longer just want the standard steel panelled radiators, with designer radiators, cast iron column radiators, vertical radiators, towel rails of all shapes and sizes, fan convectors and even ceiling mounted heat emmitters the choices are endless. SEP pride itself in understanding what is available on the market, being able to help and advise customers on what is available and best suited for their needs, at competitive prices. Experts agree your boiler needs an annual service to ensure it’s safe, efficient and ready for action whenever you need it. 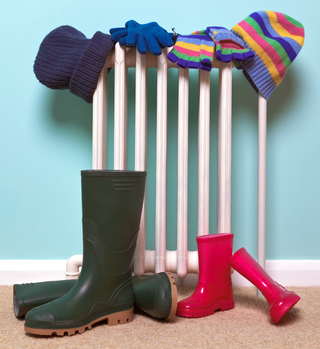 This is especially important when the winter months are approaching – as this is the time of the year when your central heating and hot water system needs to be more reliable than ever. When the gas that fuels your boiler isn’t burnt correctly, carbon monoxide is produced. Though this can’t be seen or smelt, it can be deadly putting lives at risk. Arranging an annual gas boiler service from a Gas Safe registered engineer means your system is safe and less likely to breakdown when you need it the most. And it couldn’t be simpler with SEP.
• An irregular or yellow boiler flame. • Stains or smoke marks appearing on or near the appliance. • Hot water has limited flow or is less hot than it should be. • Boiler refilling and/or overheating frequently. • Boiler fan makes loud noises. • The boiler pilot light goes out repeatedly. The accumulation of sludge, corrosion deposits and scale in hot water central heating systems is inevitable with age. Over a period of time this sludge can block pipes and prevent the radiators from distributing heat around your house. SEP can thoroughly clean your existing system with a chemical powerflush, in many cases this can cure system noise and poor heat output from radiators. It is advisable to power flush a heating system when fitting a new boiler to an existing system to prevent possible future problems. The high efficiency and compactness of modern boilers, developed to minimise fuel costs and pollution, means that they are more susceptible to problems caused by debris in the system water. 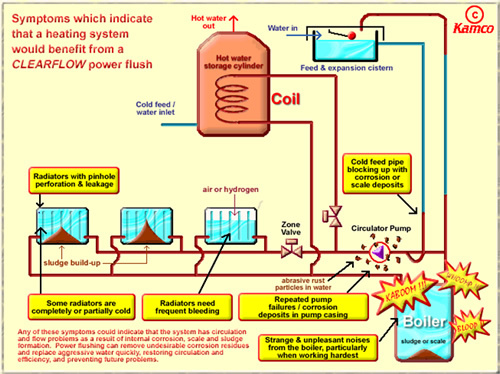 How it works: The power flushing pump is simply connected into the heating system. The powerful flow, combined with instantaneous flow reverser device, will dislodge and mobilise deposits and corrosion which resist traditional system cleaning methods. 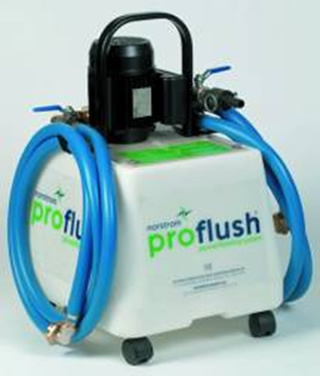 SEP only use state of the art Norstrom Pro Flush equipment and have been fully trained by Norstrom to carry out power flushing British Standard BS7593.